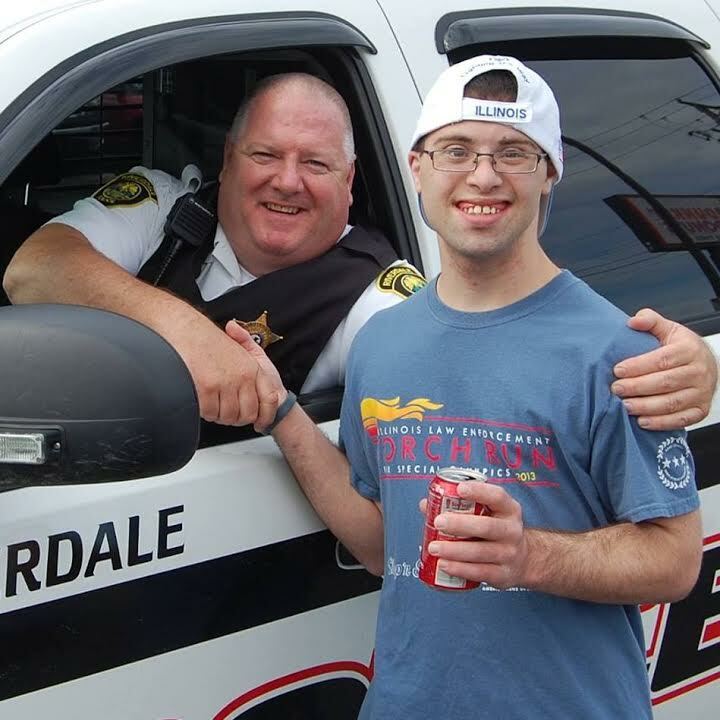 Dennis Reilly, Tinley Park Police Officer and member of the Illinois Law Enforcement Torch Run for Special Olympics, is packing his bags for an experience of a lifetime March 14th – 25th in Austria for the World Winter Games. The Law Enforcement Torch Run® for Special Olympics is Special Olympics’ largest grass-roots fundraiser and public awareness vehicle in the world. The Final Leg Torch Run for the Special Olympics World Winter Games in Austria will consist of an international team of 131 members that includes eighty-four volunteer law enforcement officer runners, ten Special Olympics athletes, and support personnel, who together, will serve as Guardians of the Flame® as they run the Flame of Hope™ throughout Austria. Reilly is among the Law Enforcement Torch Runners from around the world who have been chosen for their dedication and commitment to the Law Enforcement Torch Run and Special Olympics by their respective Torch Run programs. Special Olympics athletes were also selected to be a part of the Final Leg Team based on nominations received from their local programs. He may have had an unusual start, but 27 years later, he could not be happier that he accepted that role. Your Special Olympics Illinois & LETR family will be cheering you on, Dennis. Good luck!